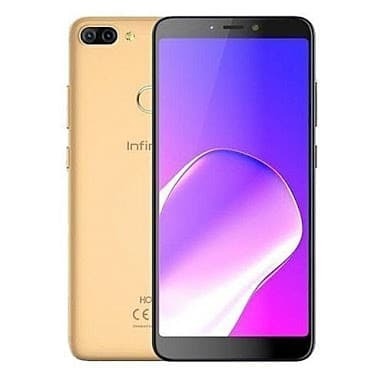 Infinix Hot 6 is one of the affordable smartphones from Infinix that was officially launched with an upgraded processor which promises to deliver more than it’s predecessor. This phone has been the top-selling device so far not until the Infinix Smart 2 Pro surface. This phone did not come to compete with its sibling, no but to offer something decent at a very low price. Some might be wondering what’s the difference between the smart 2 Pro and the Infinix Hot 6 since they both have the same specs and camera. Well in this post we will try to clear your doubts and worries about the two budget phones. So read on. Infinix Smart 2 Pro VS Infinix Hot 6: Design. 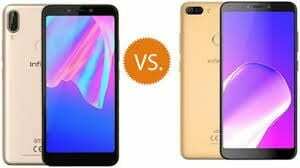 Infinix Smart 2 Pro VS Infinix Hot 6: Price. Both the Infinix Smart 2 Pro and the Infinix Hot 6 sports a plastic body design. The Infinix Smart 2 Pro comes with a more portable body that you can easily handle with a single hand and can even pocket it. The phone also sports a fingerprint scanner position on the center of the panel just like the Infinix Hot 6. The difference on the panel is the dual rear camera placement. The Infinix Smart 2 Pro owns is lying vertically on the top left corner with the LED flash just below them. On the Infinix Hot 6, the dual rear camera is lying horizontally on the top left corner with the LED flash beside them. The phones have a taller body display with little bezels on the front. 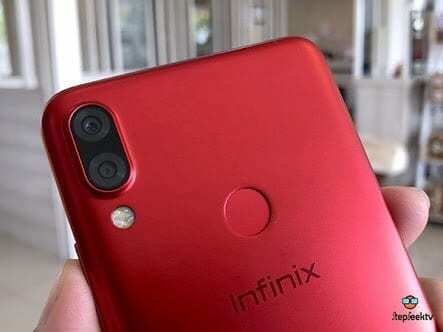 It measures 156.2 x 76.5 x 8.4 mm in dimensions and weight 157 gram while the Infinix Smart 2 Pro measures 147.1 x 68.8 x 8.5 mm in dimensions and weight 145 gram. Both phones are shipped in beautiful colors. The Infinix Smart 2 Pro has a screen size of 5.5 inches with 720 x 1440 pixels resolution and 293 pixels per inch density. It has the latest 18:9 ratio and 77.1% screen-to-body ratio. The Infinix Hot 6 comes with a bigger screen size of 6.0 inches which still maintains the 18:9 ratio with a screen resolution of 720 x 1440 pixels. It’s also scratch resistant, and it has a 75.1% screen-to-body ratio. Both phones have dual rear cameras of 13 MP + 2 MP with f/2.2, autofocus, and LED flash. Both main cameras also feature Geo-tagging, touch focus, face detection, HDR, panorama and they shoot 1080p@30fps video resolution. They still have the same front facing camera of 5MP for a selfie. It’s only the Infinix Smart 2 Pro that supports LED flash and Face ID as an added security feature. The Infinix Smart 2 Pro is powered by MediaTek MT6739 with a Quad-core 1.3 GHz coupled with 2GB of RAM. This arrangement will not outperform the Qualcomm MSM8937 Snapdragon 425 Chipset on the Infinix Hot 6 smartphone. And the Quad-core processor runs at a faster speed of 1.4 GHz coupled with 2GB of RAM and Adreno 308 GPU. Both phones run on Android 8.1 Oreo operating system with a micro USB cable and 4G LTE network support. The Infinix Smart 2 Pro has a nonremovable battery capacity of 3050mAh without fast charging technology, while the Hot 6 packs a massive 4000mAh which will surely last longer than it’s rival. SEE ALSO: Infinix Hot S3X VS Infinix Hot S3 Specs Comparisons. The Infinix Smart 2 Pro is available at a price of $109, While the Infinix Hot 6 cost around $125.